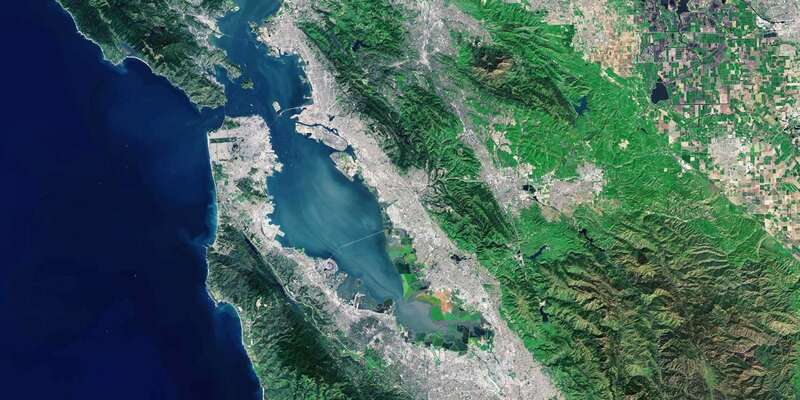 The San Francisco Bay Area has long been understood as a region made up of the nine counties that touch the Bay. This definition has a simplicity that other large metro areas lack; not all can be organized around a natural feature that is significant in geologic time and scale. But the nine-county border doesn’t always hold. The reality today is that counties such as Merced and San Joaquin are growing quickly and housing more and more of the people who work in the counties that touch the Bay. To answer these questions, SPUR gathered experts, looked to other efforts to define geographies, and studied maps and data to decide which scale(s) will work best for addressing the region’s greatest challenges. What’s valuable about the nine-county definition of the region? The longer a definition is in use, the more significance and relevance it accrues — and this one has been around for a while. 1. The Bay Area has been a political and cultural region for nearly a century. While maps of the San Francisco Bay date back to at least 1776, references to “the San Francisco Bay Area” began in the early part of the 20th century. As early as 1914, one report on the “San Francisco Bay Area” refers to it as an eleven-county region (adding in Santa Cruz and San Joaquin counties). During World War II, planners identified the “San Francisco Bay Area” as a nine-county region and it stuck. 2. The jurisdictional boundaries of governmental agencies have helped to reinforce the nine-county definition of the region. 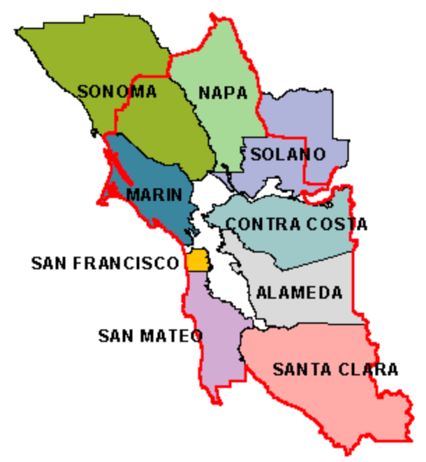 Since the 1950s, numerous regional agencies have been operating with jurisdictions across the nine-county Bay Area. Two agencies (whose staffs recently merged) focus on the entire nine-county region: the Association of Bay Area Governments and the Metropolitan Transportation Commission. 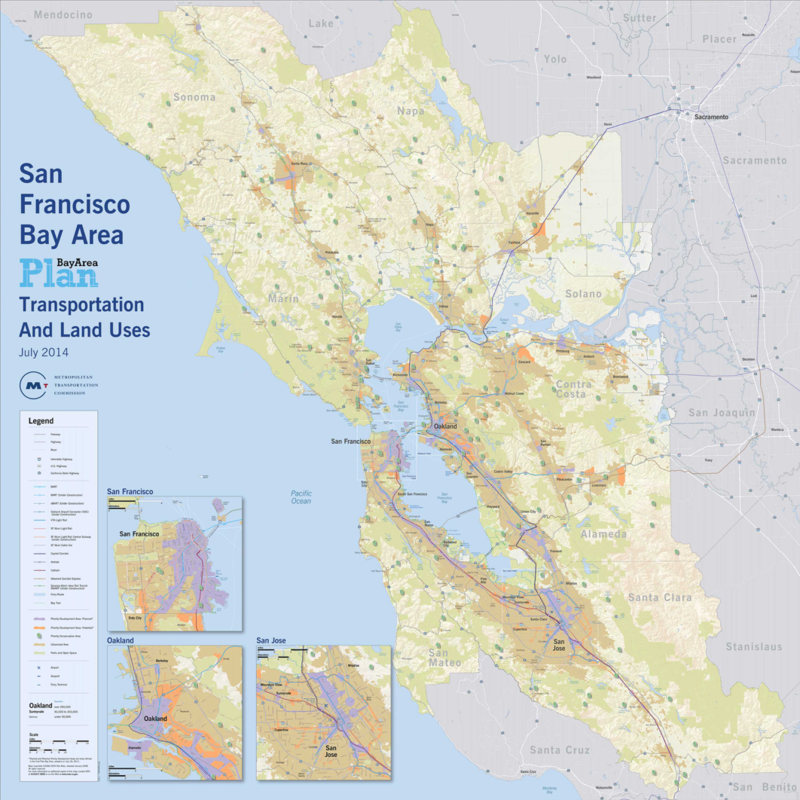 Together they draft and adopt Plan Bay Area, the comprehensive land use and transportation plan for the nine-county Bay Area. Three agencies have roughly the same jurisdiction within each of the nine counties: the Bay Area Air Quality Management District, the Bay Conservation and Development Commission and the San Francisco Bay Regional Water Quality Control Board. Given this history, precedence and wide use — plus the fact that data are often most available at this scale — SPUR will continue to do research, promote policies and make recommendations at the nine-county scale. What about related activity outside the nine counties? Because many of the region’s patterns extend outside the nine counties, it’s important to look at what’s happening beyond this boundary. 1. The Bay Area is part of an emerging Northern California megaregion that combines several adjacent metropolitan regions. Many of the important factors that shape life in the Bay Area — including water and energy systems, development patterns, housing affordability, the transportation network and the economy — have never been entirely contained in nine counties. To reflect this larger geography, SPUR released a report on the Northern California megaregion in 2007. This first-ever report on the subject revealed a 21-county core area surrounded by an additional 20-county sphere of influence that extends from the Bay to Fresno and Reno. The Northern California megaregion better captures our growing connection with places outside the Bay Area. It consists of the nine-county Bay Area, the six-county Sacramento region, the three-county Monterey Bay Area and three northern San Joaquin Valley counties. 2. Tracking trends in this larger megaregion is crucial to addressing many of regional issues. For example, without looking at this larger geography, we would not necessarily see that in percentage terms, the counties outside the traditional Bay Area are growing faster than those within the nine-county Bay Area, with some of the new residents commuting to the nine-county region for work. However, population growth in absolute terms is still larger in the cities within the nine counties. Anticipating and planning for these trends, or giving more people options to live closer to where they work, are important policy responses for the region. We cannot simply draw larger regions and expect that this makes us more able to solve problems. Any attempt to rethink regional boundaries must be met with a fair bit of humility: We should only expand the scale to match the problem if we are serious about trying to solve it and reasonably confident that extending a geography is critical to success. Should we use different regional geographies for different issues? As the following examples show, in some situations it’s critical to map complete systems, instead of using the data contained in a pre-ordained set of counties. 1. Commutes reveal the geographic spread of our economic patterns. SPUR’s research and conversations with stakeholders showed that population and commute patterns are the strongest way to track human-based geographies. These patterns show that different areas are in fact economically interdependent: They demonstrate how people’s lives depend on their neighborhoods, their job locations and the connection between the two. Over time we can track these connections to either create new definitions of what constitutes an economically interdependent region or understand how important collaboration across regions could be. Population and commute data have been used to define regions called core-based statistical areas across the United States and Puerto Rico since 1948. To do this, the U.S. Office of Management identifies cities with a core of people (usually 10,000 or more) and analyzes the counties that rely on that center for jobs or workers using commute data. These patterns inform the degree of economic exchange across space. Geographers have used similar approaches to project where megaregions will form in the future or where they exist today. As seen in the visualization of commutes in Northern California below, there is heavy exchange around the Bay Area’s urban core, and some exchange between that and other cities like Santa Cruz, Stockton and Sacramento. 2. The spatial patterns of individual industries like goods movement also reveal their own geographies. The goods movement industry is set up to overcome distance and geography in service of connecting producers along supply chains and sellers with buyers, increasing the economic gains of all involved in these transactions and providing jobs across the state. 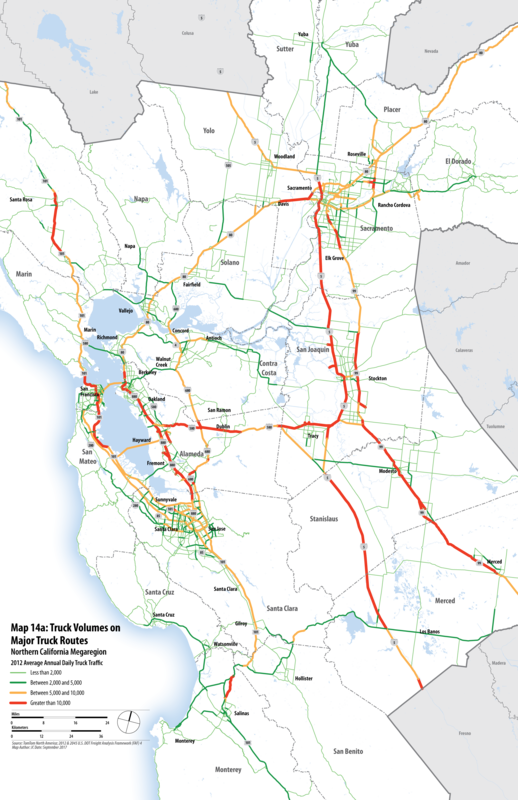 The most heavily trafficked goods movement corridors in Northern California are mapped below, showing the importance of the Central Valley in this network and how the Bay Area seems to connect to it and Sacramento for some exchanges. The heavier truck traffic for goods movement occurs in the spine of the Central Valley, as well as in the areas that ring the Bay and connect it to other metro areas. 3. We share both critical natural resources and environmental degradation across jurisdictional boundaries. Natural processes that determine how water, sediment and air flow are governed not by our administrative county-based jurisdictions but by physical processes that we continue to study and understand. Our ability to come up with solutions to pressing challenges like water supply management, sea level rise adaptation and airborne pollution mitigation depend in part on our ability to map the distribution of natural resources and our effect on them. 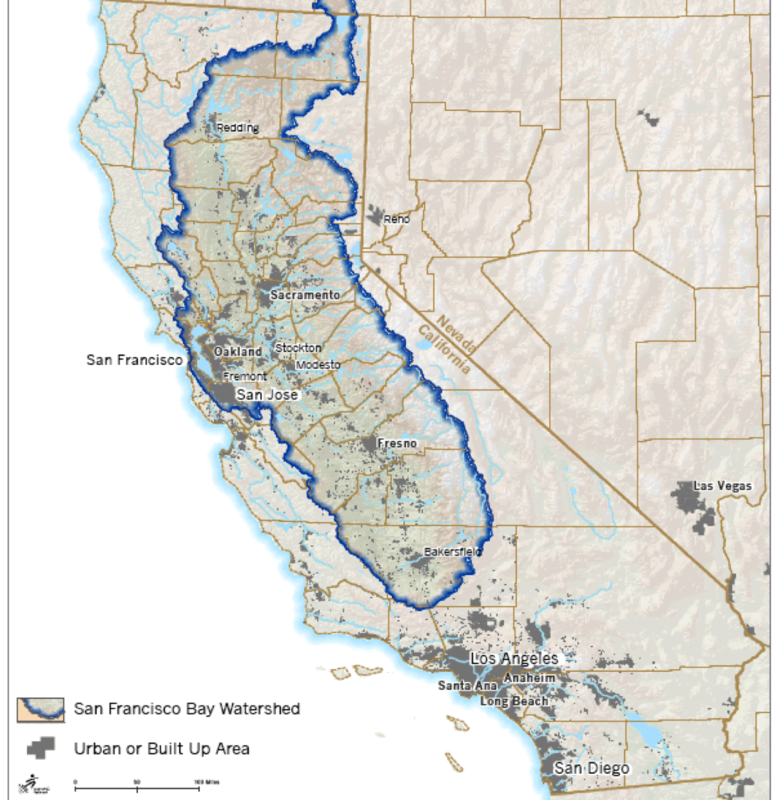 In the map below, the watersheds that drain into the San Francisco Bay ignore county and even state lines. Understanding this system can help us manage things like waterborne pollution and water supply — both necessary for healthy life in the Bay Area and across much of California. 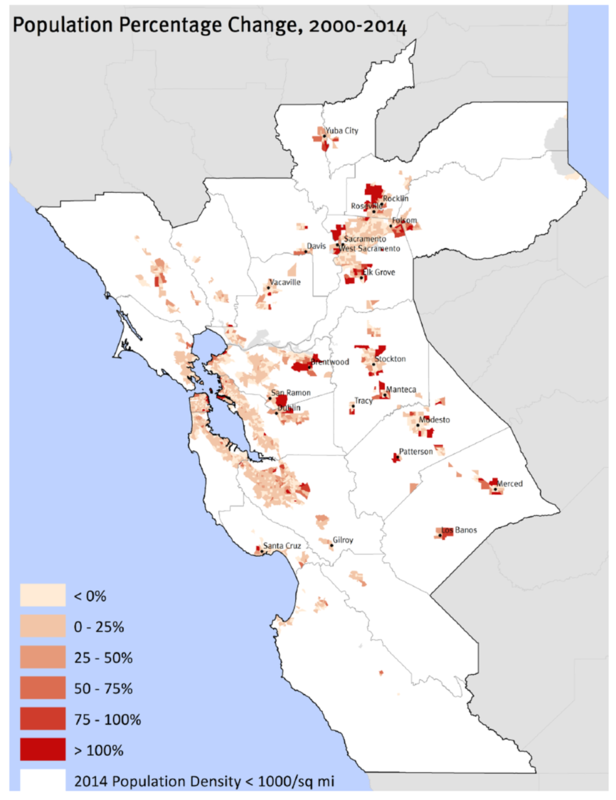 The SPUR Regional Strategy will focus most deeply on the nine-county Bay Area, which remains important for the region’s identity and governance structures and is the scale at which a significant amount of data is available. 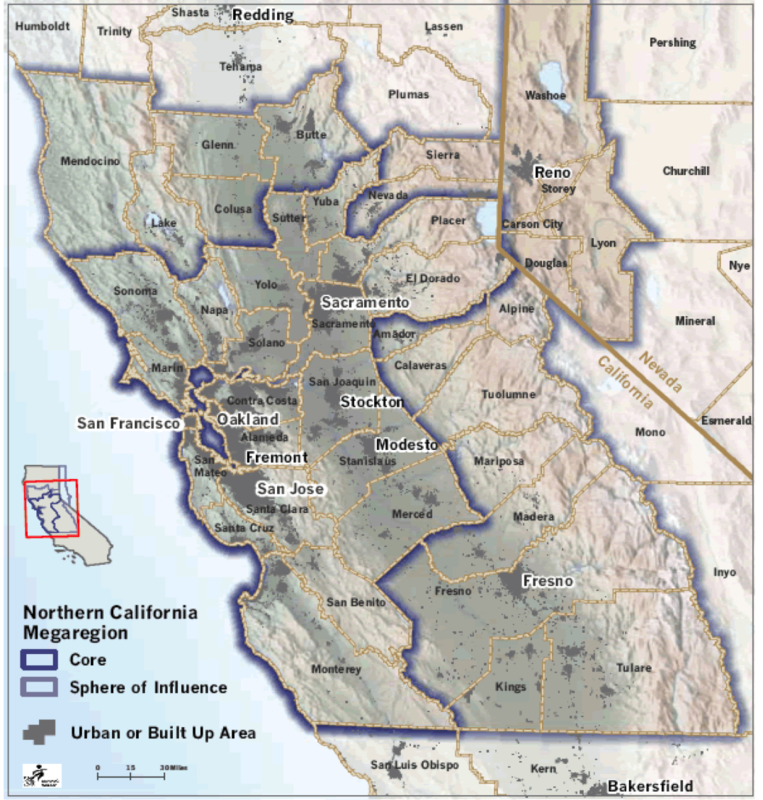 For certain key questions, we will consider the 21-county core Northern California megaregion. We will also map and focus on some systems whose regional boundaries do not line up with the nine-county Bay Area or the 21-county megaregion. Mapping those systems (such as regional train networks, commute flows and watersheds) will be necessary to design solutions at the appropriate geographic scale. As researchers and policy advocates, we should not be too wed to city boundaries or to the nine-county boundary. First we need to understand the geography of the specific problem or system we are trying to solve or manage. There might be one regional geography to deal with sea level rise, another for water system management, and another for the regional housing market or commute shed. 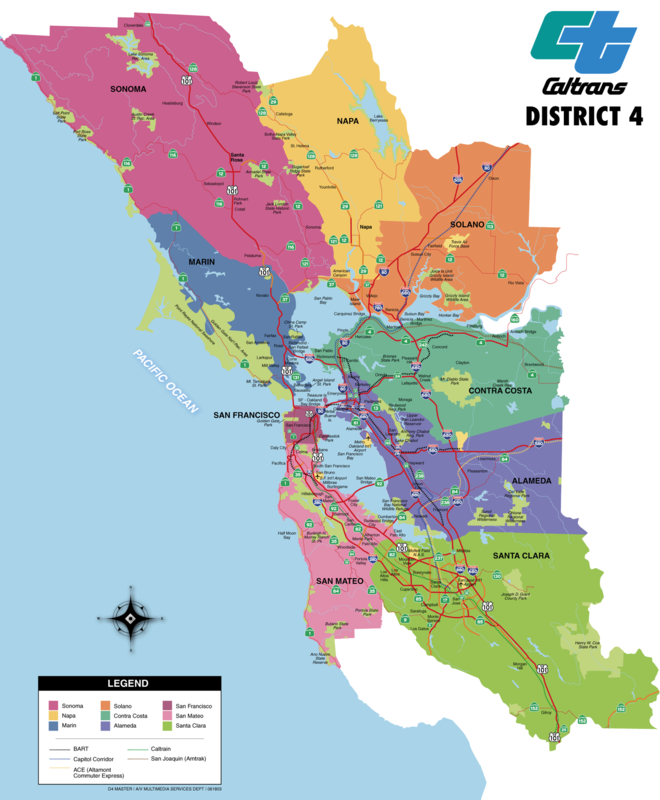 Ultimately the Bay Area’s political systems must be flexible enough to work across these varying geographies in order to effectively address the complex issues the region faces.